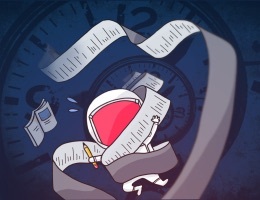 OmniFocus 2 was picked as our favorite GTD app, and I’ve personally used it since the early betas of OmniFocus 1.0. One of the things I love about it is the rock solid syncing engine (OmniSync) that The Omni Group provides. It’s incredibly fast, and they provide it for free. 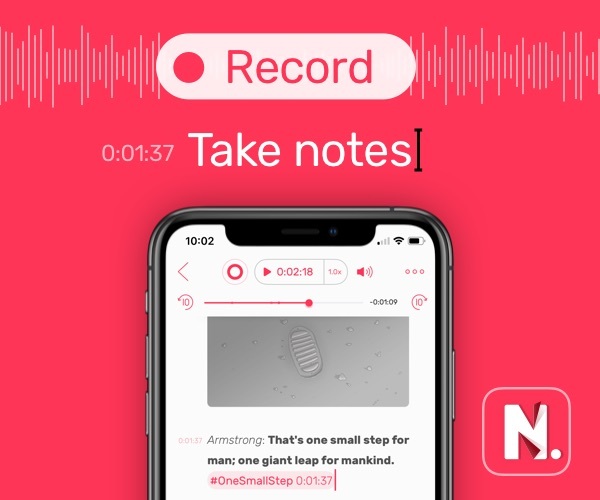 If you’ve owned quite a few iOS devices over the years, you’ve probably synced them to your OmniSync account. The sync process is much faster when all of the devices registered to your account sync regularly. If you’ve got old iPhones and iPads still registered, you certainly want to remove them to speed up the process. 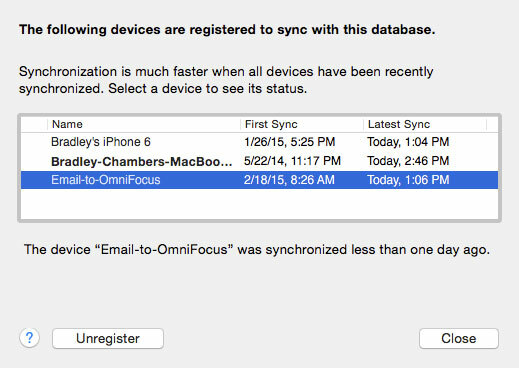 To access the sync registration, go to the OmniFocus preference screen on the Mac and click Synchronization, and then under your Account information click Show Sync Details…. A list of all registered devices will be shown. If you find an old device listed, select it and then click Unregister.